Welcome to Jerry MacNeish’s Camaro Hi-Performance, Inc. 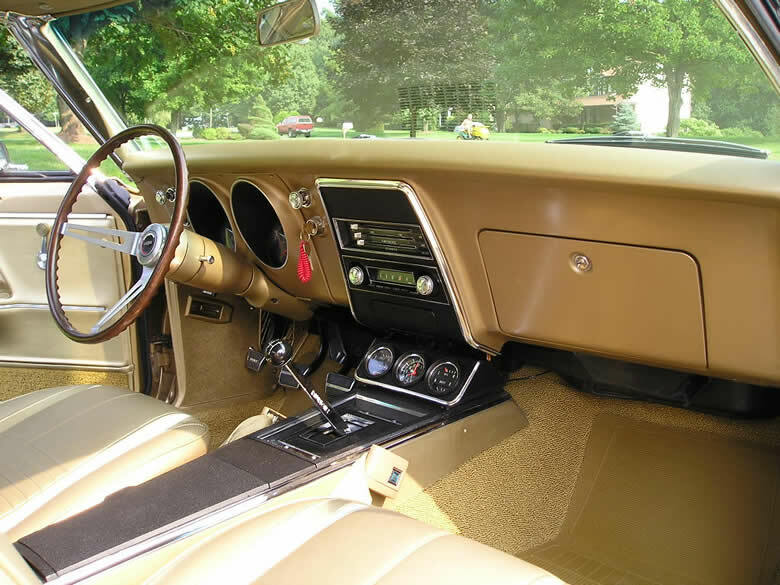 Here you can find great information about first generation Camaros. 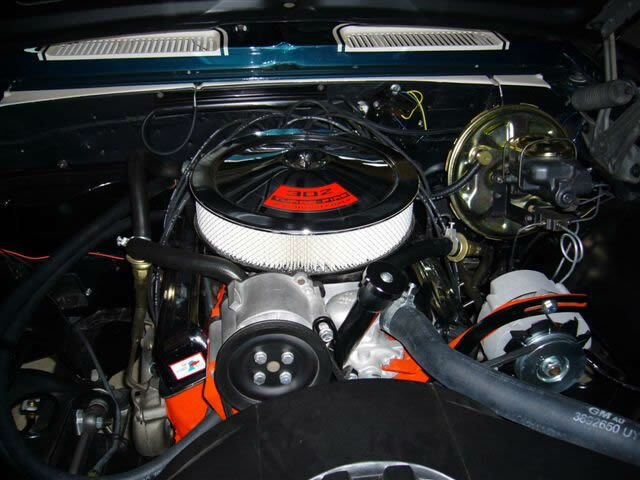 Please check out our Consulting and Restoration, our Publications, our Vehicles, including The “Old Reliable” (Dave Strickler’s World Championship Super Stock Race Car… The Ultimate Z/28. 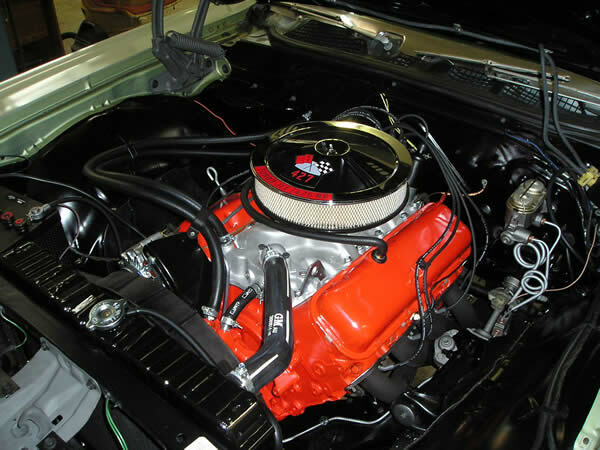 There is also information available about Camaro Hi-Performance, Inc., as well as the Official 1967 Z/28 Registry. September 12, 2014, A Great Outing at the Z-Max Dragway in Charlotte, NC. 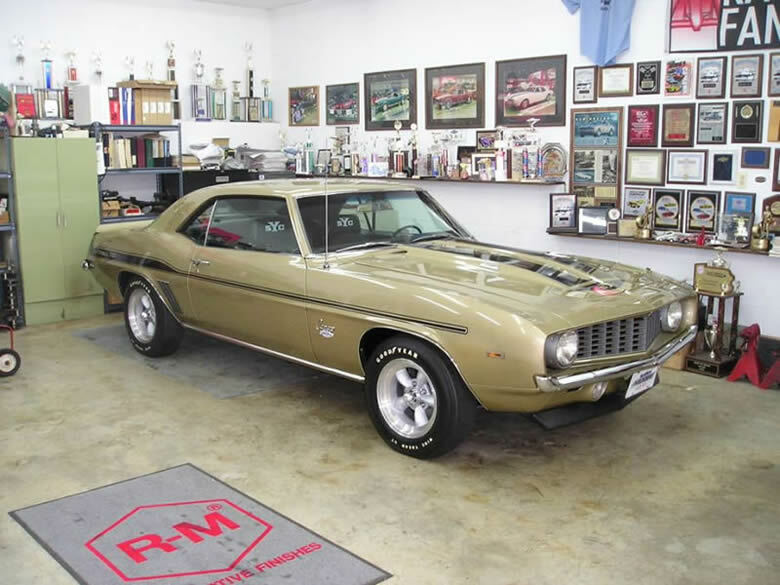 A big class win for Jerry MacNeish and his 1967 Z28 Camaro! Jerry won the Stick Shift Combo race at Z-Max Dragway in Charlotte, North Carolina and Mr. Rick Hendrick of Hendrick Motorsports was there for the final round in this Stock Eliminator race. Jerry had asked the folks at Hendrick Motorsports if Mr. H as he’s called, was available on Friday, September 12th for his birthday. Jerry’s birthday wish was to shoot some photos of Mr. H on his birthday with his 1967 D/Stock race car. Mr. Hendrick not only came out to the track, but he stayed to watch Jerry win the final round. 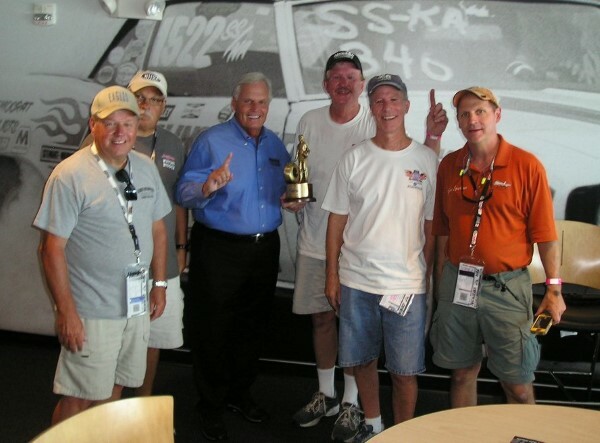 Here’s the CHP gang with Mr. Hendrick and “The Wally” in Charlie Lingenfelter’s suite in the track tower. Left to right: Wayne Lee, Carmen Trimboli, Rick Hendrick, Jerry MacNeish, Norm Meads, and Glenn Sparkman. We can’t thank Mr. Hendrick enough for venturing out to the race track for Jerry’s birthday. All of the folks at Hendrick Motorpsorts are the best! 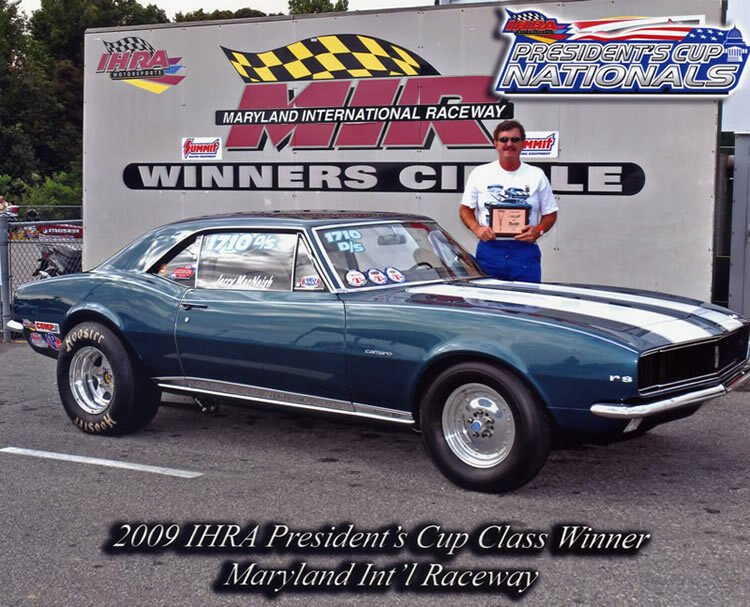 Thank you Mr. H.
October 9, 2014: Our 1967 Z28 has set the new 2014 NHRA national record in D/Stock. 10.44 seconds, Maple Grove Raceway, Mohnton, PA. We look forward to our sponsorship with Hendrick Motorsports in 2015. 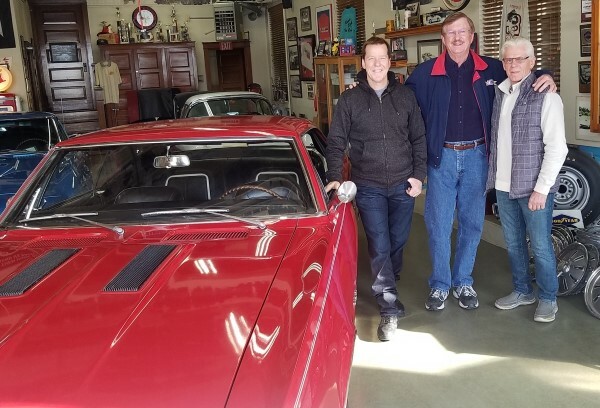 December 31, 2017, Camaro Hi-Performance closed out the year with a very special new client, Jeff Dunham. An amazing stand-up comic and ventriloquist who travels the world to sell-out crowds for his shows. 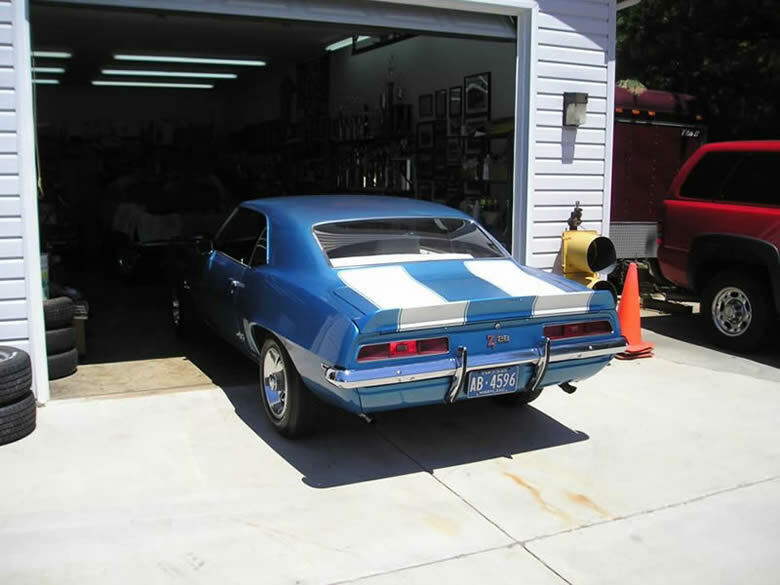 Jeff purchased an original survivor ’67 SS350 Camaro and now has 86 cars in his collection. Congratulations Jeff! Left to right: Jeff Dunham, Jerry MacNeish and car seller, Lee Jackson. Taken New Years Eve. November 10-11, 2015, Working at the Reggie Jackson Museum Garage. 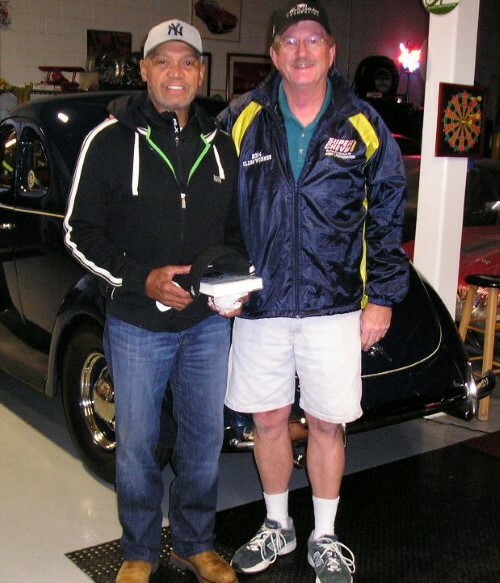 Reggie is a true car guy and gentleman! We spent almost three days together certifying cars, bench racing and talking baseball. 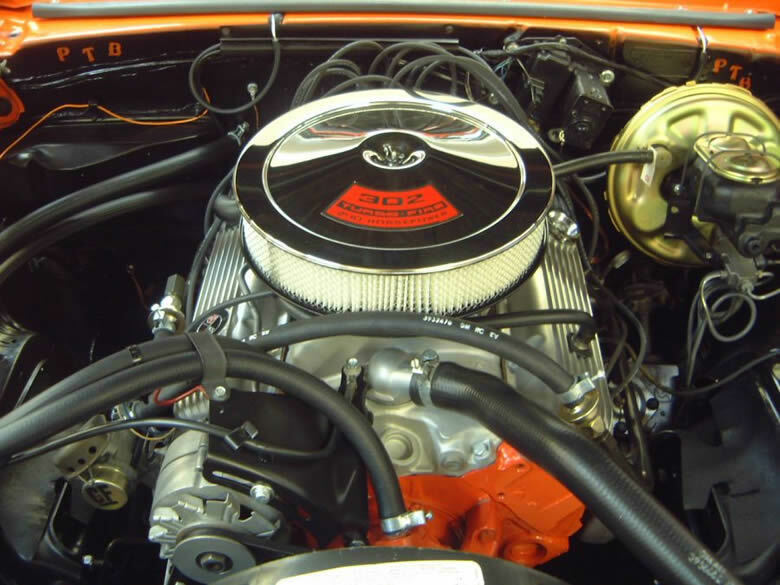 While playing with Oakland, he always drove his white ’70 LS-6 Chevelle to the ball games w/4.56 gears. Kept his own log book in the glove box too. Now that’s a car guy! He’s been a gear head long before he was in baseball. I have a lot of respect for the man and his passion for the hobby. He does a lot of work with troubled kids & such and created the Mr. October Foundation. Camaro Hi-Performance will be working with Reggie Jackson doing car certifications for many years to come. Another great experienice working in Seaside, CA. Thanks Reggie! May 28, 2015, Jeff Andrews, director of engine development at Hendrick Motorsports stopped by our shop for a visit. Jeff is a huge first generation Camaro enthusiast and owns two of them. 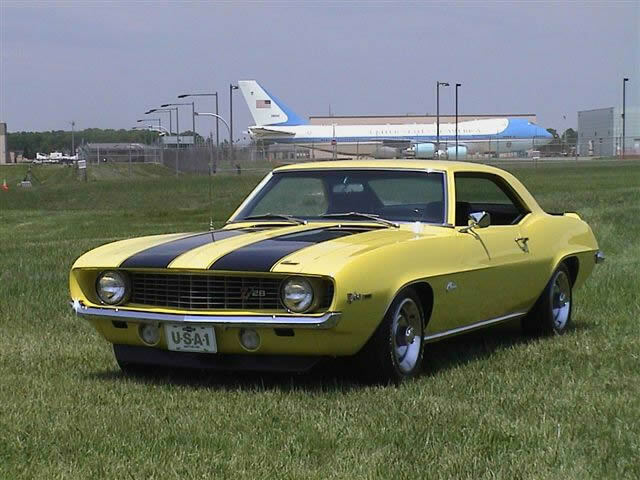 A 1967 Z28 and a 1969 Z28. 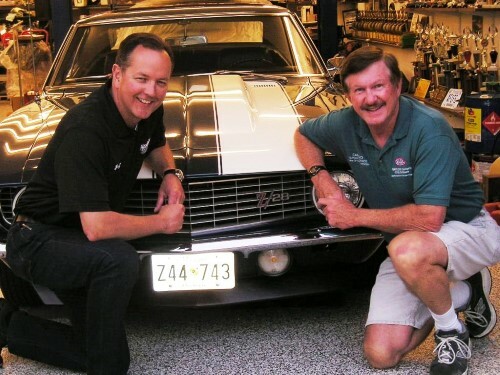 I also want to thank Jeff Andrews and John Barilka at Hendrick Motorsports as they are helping with my NHRA Stock Eliminator program making engine parts for our 1967 Z28 race car. Coming in 2016. Record Breaking Year for CHP Click here for more info. as the fastest 302 Z28 Stock Eliminator Camaro in the country! 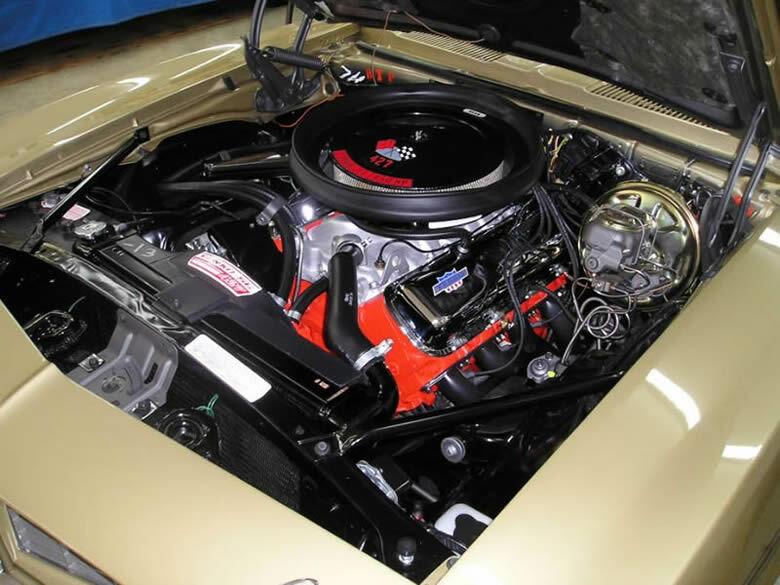 CHP continues to score big with our new 1967 Z28 Stock Eliminator race car. 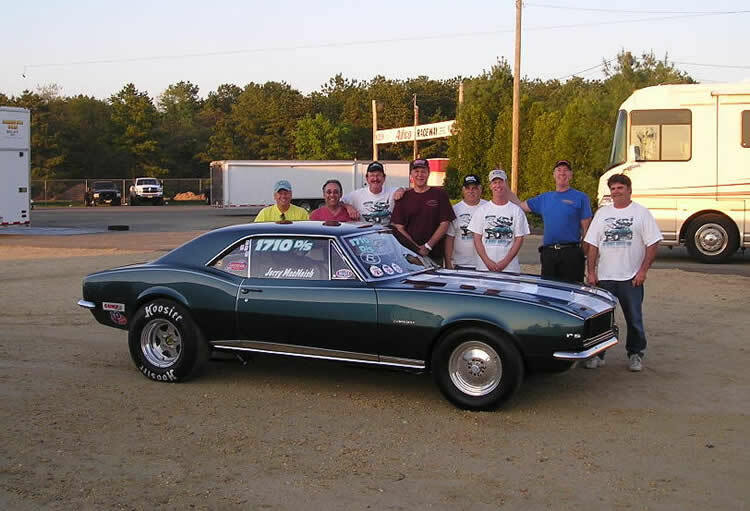 On September 26, 2009, we won the D/Stock class and also received the “Best Engineered Race Car” award at the IHRA’s President’s Cup Nationals! 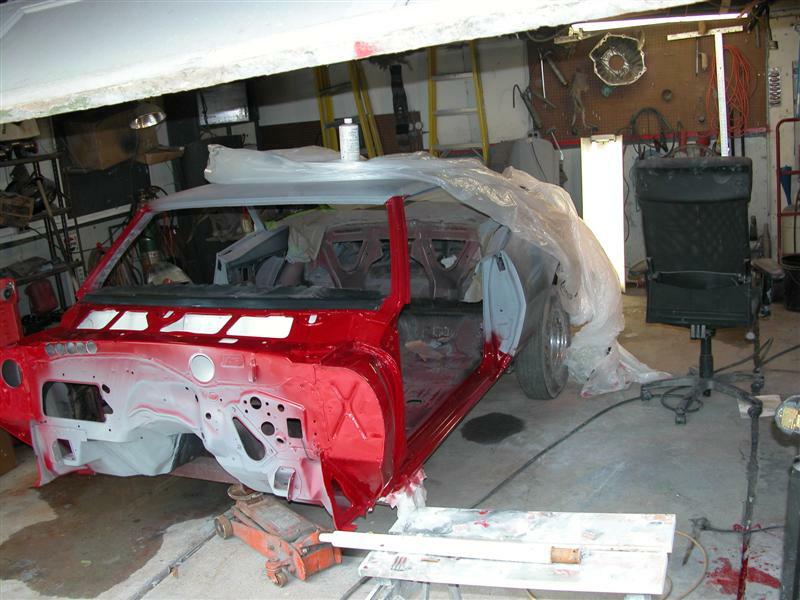 Special thanks to all of our customer base for your support with Camaro Hi-Performance. Read About Our Class Championship for E/Stock at the 50th Annual NHRA US Nationals. 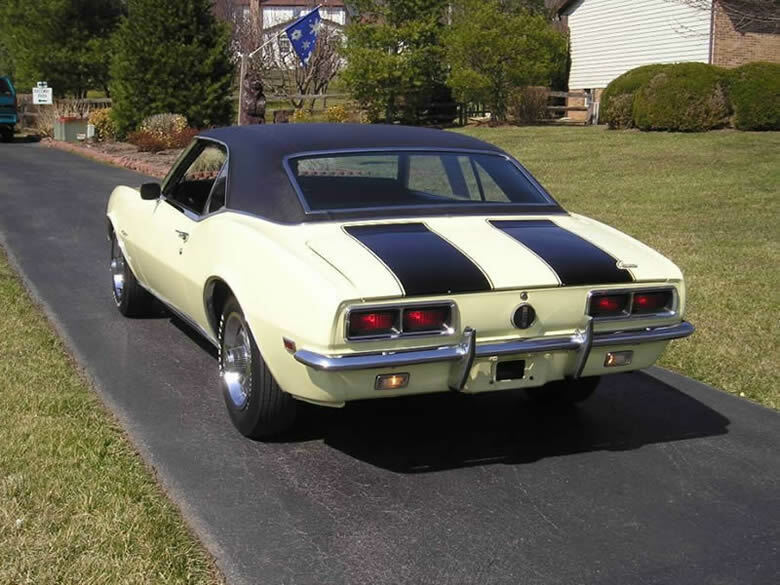 Lets take a ride in the 1967 Z28 D/Stock Camaro. 10.59 at 125 mph. Check out the Camaro Hi-Performance shirts and other items in our store.